you will), but he's one that expects 100% effort every night, every shift. So why were people still nervous about this hiring? seasons there know that it was never an easy game. believe in stories of his effectiveness? Your eyes or Tomas Vokoun? provide some stability in the job. more talent. Well, he helped get them 2 wins away from a Stanley Cup in his first season. 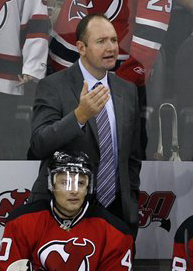 DeBoer was fired after Christmas, 2014, said that the coach wasn't the problem. comeback before losing out in Game 6.